Clear, medium lemon-gold. Medium-plus intensity citrus and banana aromas. Bone dry high acidity and light body. Quite intense lemon and green apple with touches of toastiness and tropical fruit. 13.5% alcohol; medium length. This is a blend of 80% Sauvignon Blanc and 20% Semillon. See Amador Foothill Winery. $28.95 at Firefly Fine Wines & Ales—first bottle I’ve bought there. Not a huge selection in their (unusual, walk-in) cooler but overall the store looks good. Clear, medium lemon-gold. Medium intensity nose of honey and mineral. Medium-sweet, high acidity, medium body; apricot-peach with a slate quality. 8.5% alcohol. Good length. Overall good. $39 at BC Liquor Signature, Alberni & Bute. See Selbach-Oster. Clear, near-medium lemon-gold. Clean, light nose of yeast, apple, and vanilla. Dry with an initial hint of residual sugar at the tip of the tongue; high acidity, medium body. Medium intensity citrus, floral-spice, sage, and subtle oak flavours with medium length. 12.5% alcohol. Overall good. About $26 at Crosstown. See Mission Hill Winery; winemaker’s notes. Clear, pale lemon appearance. Medium intensity grapefruit and grassy-vegetal nose. 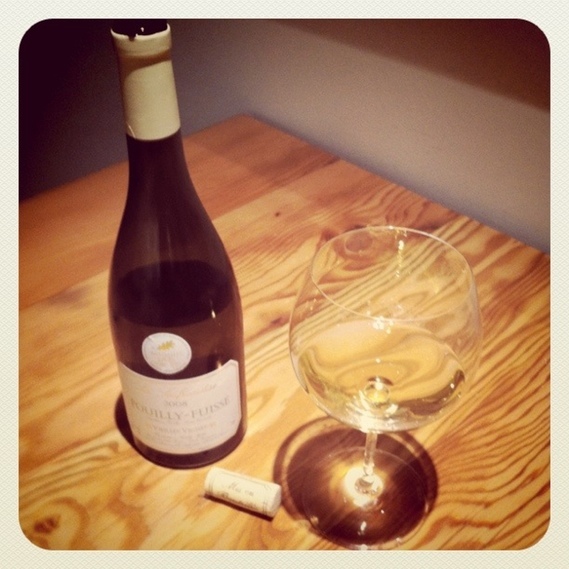 Dry, high acidity light-plus body with intense citrus, green pepper, and floral notes. 14.5% alcohol; medium length. Enjoyable. $20 at Crosstown. See Amayna (Leyda Valley, Chile). Clear, light gold-green. Nose is an appealing clean, light toasted nut, oak, and stone fruit. Dry, light-plus body with high acidity; medium intensity citrus, floral-spice, and oak. 13% alcohol; medium length. Nice enough but a bit one-dimensional. $36 at Crosstown. 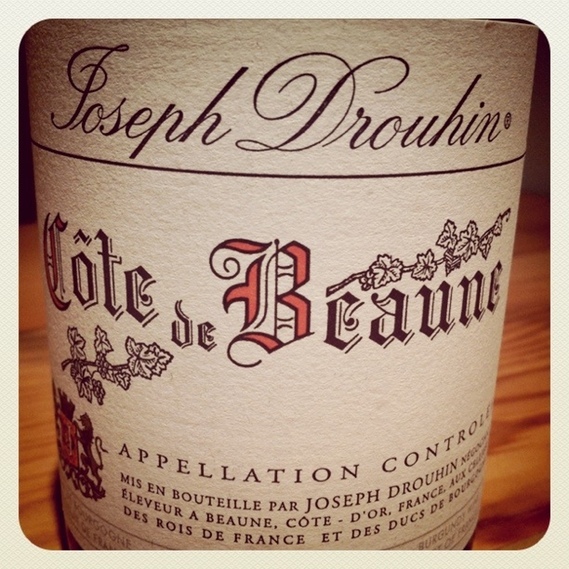 See Joseph Drouhin; and winemaker’s notes (warning: both are Flash). Clear, pale silver with a bit of green. Clean, medium intensity citrus, pineapple, and dry grass/sage on the nose. Dry, high acidity and medium body. Strong lemon-lime and tropical fruit flavours, along with 13.5% abv, results in a very sharp drink. Good length. $42 at Crosstown. See Cloudy Bay; also winemaker’s notes (PDF). Clear, light lemon colour. 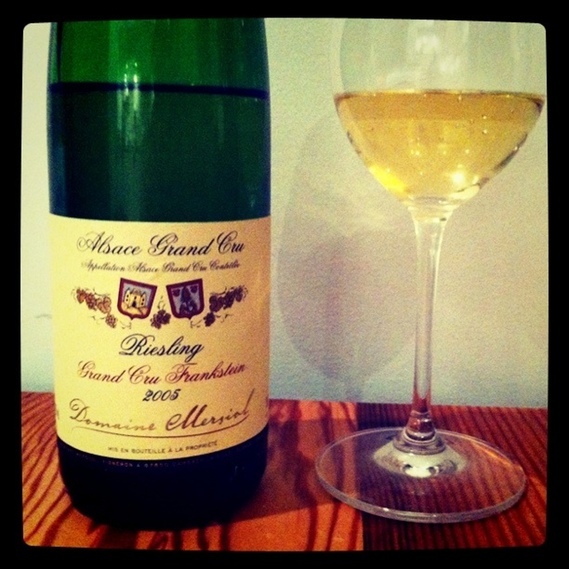 Nose is clean, medium intensity petrol-mineral and citrus, with an undertone of stone fruit. Dry, high acidity light-plus body. Intense citrus and mineral in the mouth with a long lemony finish. 12% alcohol. A very nice French Riesling; recommended. $39.99 at Liberty Wine Merchants. See Domaine Mersiol. Clear, medium lemon-gold appearance. The nose is clean, light-plus intensity dominated by mineral with fruit and citrus, and a hint of oaking. Dry, high acidity medium body, nicely balanced citrus-mineral with floral and some herbaceous notes; very subtle oak. 13.5% alcohol. Great finish and length. Overall very good; recommended. $44.99 at Liberty Wine Merchants. See Domaine la Soufrandise (warning: Flash). Clear pale gold appearance. Clean, medium intensity aromas of asparagus and banana. Dry, high acidity light-plus body with intense citrus, sage, and vegetal notes. 13.8% alcohol. Good length. Overall good; an enjoyable drink, distinctive. $24 at Crosstown. See Borthwick Vineyard. Clear, pale lemon-gold appearance. Clean, medium-plus intensity grapefruit nose with mineral notes. Dry with just a hint of residual sweetness; high acidity, light body, and intense tropical fruit, apple, and pear, with some floral qualities. Good length. 13.0% alcohol. Very good, particularly at the price: recommended. $24 at Crosstown. See Spy Valley Wine; see also producer’s notes on this vintage.